Rate this Article PlayMMOFPS is your one-stop website for everything and anything related to the MMO shooter genre. 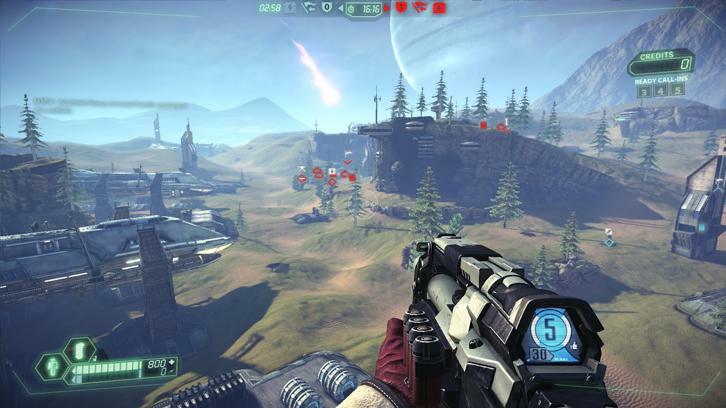 If you are ready for some exhilaratingly fast-paced shooting action, PlayMMOFPS is the website for you! Ever since its existence, MMO shooter games have always managed to captivate many gamers' hearts aside from our own. What's not to love? The games are usually fast-paced, skill-and-reflex-oriented, and the rush it gives you is enough to keep your heart pumping even after you've exited the game. However, despite its popularity, there still isn't a website on the internet that's truly dedicated to compiling all the best MMO shooter games into a easy-to-use and convenient website. That's where PlayMMOFPS comes in! Here at PlayMMOFPS, we publish comprehensive reviews of each of the shooter game we checked out, providing you with the details you need, ranging from the gameplay and controls to even the in-game store, to decide whether a game's suitable for you or whether it's worth your time. We've all been there before where we've downloaded a few GBs worth of installation files only to find that the game isn't exactly the sort we're looking for. We are here to prevent exactly that. There's also a "similar games" feature that you can use to find games that you may enjoy playing which are similar to the games you've already played and loved. If you're not much of a "words" person, we even provide a bunch of awesome game images that you can feast your eyes on! Aside from reviews, we also publish articles from time to time. Articles can range from listicles to feature articles, and sometimes, we might even throw in a few tips and hints so you can learn a thing or two and not die in a match so much. There's even something more casual for you to pass the time - surveys. You can vote for your favorites in our many fun surveys. Once done, you can view the current vote result and see what the otrher players on our site have voted for. Granted that there are a lot of MMO game sites out there, most of them deal with the full spectrum of MMO games (MMORTS, MMORPG, MMOFPS and MOBA), which is to say MMO shooter games only get the spotlight at most 25% of the time. For someone who's tuned to the "shooting lifestyle", this 25% isn't a lot... especially not when you can get 100% of all the best stuff right here on PlayMMOFPS.com. So, stick with us by bookmarking our site on your browser and we'll do our very best to make this website a site you can call "home".